Wellington came to prominence during the Peninsular War (1808 to 1814), part of the Napoleonic Wars. Here he commanded a British Army that retook Portugal and Spain from French control finally defeating the French on the peninsular at the Battle of Vitoria in 1813. 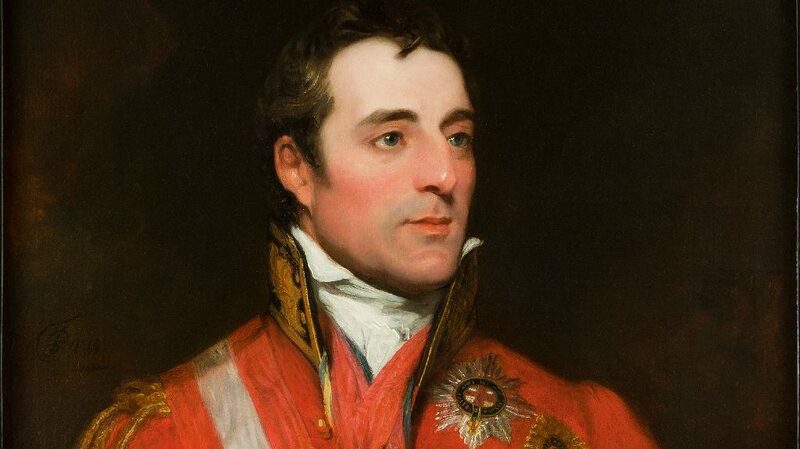 When Napoleon escaped from exile in 1815, Wellington was recalled to take command of an Anglo-Dutch Army when Napoleon threatened Brussels which led to his greatest victory at the Battle of Waterloo. Wellington fought some 60 battles during his military career and is famous for his adaptive defensive style of warfare and he is regarded as one of the greatest defensive commanders of all time. Later, he twice became British Prime Minister. Question: Did the Duke of Wellington acquire his nickname, The Iron Duke from what he did on the battlefield or in politics? Answer: In Politics His nickname stems from his time as Tory Party leader when he opposed both the Reform Bill of 1832 and Catholic Emancipation in Ireland – he was, by explanation, a Protestant Irishman himself.